Fistula Foundation could not do the work of supporting fistula treatment and prevention without the participation and support of our nonprofit, fundraising, corporate and media partners. These organizations have joined in the effort to treat and prevent fistula globally by donating necessary medical supplies, sharing knowledge, raising money and heightening awareness. We are honored to collaborate with the following organizations. The International Federation of Gynecology and Obstetrics was established in 1954 as the only global organization representing national societies of obstetricians and gynecologists. Based in London, the organization has member societies in 125 countries or territories worldwide. Fistula Foundation funds the FIGO Fistula Initiative, a training program designed to increase the global availability of skilled fistula surgeons. Through this program, we are supporting the training and capacity building of fistula surgeons in accredited training centres, using the FIGO Global Competency-Based Fistula Surgery Training Manual. 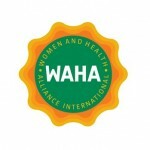 Women and Health Alliance International (WAHA) is an international non-profit, non-governmental organization based in France that was launched by Her Highness Sheikha Shamsa bint Hamdan Al-Nahyan, with the overarching goal of addressing maternal and neonatal health in disadvantaged communities throughout the world. Her Highness has a longstanding commitment to women’s causes and believes that “no woman should die while bringing new life into the world or suffer needlessly for the rest of her life due to a lack of appropriate medical care.” She calls on the international community to unite to reduce the unacceptably high levels of maternal mortality in developing countries and appeals for greater efforts to improve women’s health. 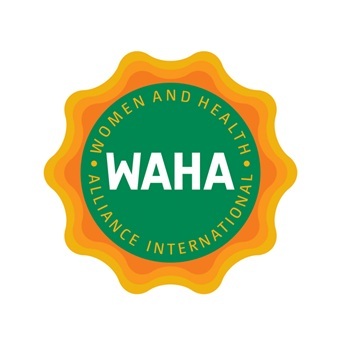 WAHA strives to be an important international player in terms of implementing and funding a wide range of activities that promote women’s health in settings where the needs are greatest, and in advocating for greater action to be taken to reduce maternal deaths. Looking for an update “from the field?” Visit WAHA’s website to check out videos, photo galleries, and to read fascinating patient stories and blog entries from all around the world posted by WAHA’s staff and representatives. Since 1948, Direct Relief has worked to improve the quality of life for people in need. Direct Relief focuses on health by providing essential material resources to locally run health programs in poor areas around the world and during times of disaster. In 2012, the largest and most comprehensive online map of services for women with obstetric fistula, the Global Fistula Care Map, was released by Direct Relief, Fistula Foundation and the United Nations Population Fund. Hailed as a major step forward in understanding the landscape of worldwide treatment capacity for obstetric fistula, the map will help streamline the allocation of resources and raise awareness of the condition. The United Nations Population Fund (UNFPA) is spearheading a global Campaign to End Fistula, the first-ever to address this issue. The long-term goal is to make fistula as rare in developing areas as it is in industrialized countries today. UNFPA is currently providing support to some 30 countries, mostly in sub-Saharan Africa, as well as in South Asia and the Arab States. The campaign seeks to raise awareness about fistula and the importance of emergency obstetric care; determine the needs in each country; and expand services for prevention and treatment. Partnership with such organizations as Fistula Foundation is the cornerstone of the Campaign. The Campaign also seeks to equip hospitals with urgently needed surgical supplies and help women reintegrate into their communities once healed. UNFPA provides assistance to developing countries, at their request, to meet reproductive health needs. Making motherhood safer for all women is at the very heart of UNFPA’s mandate. Fistula Foundation is proud to partner with Global Impact, an organization that raises funds to meet critical humanitarian needs around the world. Global Impact funds more than 80 U.S.-based international charities through innovative partnerships and employee giving programs, and provides solutions to meet the unique giving needs of organizations and donors. In addition, the organization distributes charitable donations for some of America’s top corporations and administers one of the world’s largest workplace giving campaigns, the Combined Federal Campaign-Overseas. We are a participating member of Aid for Africa, a unique partnership of nonprofit organizations serving families and communities throughout Africa. For more information, click on the Aid for Africa logo above or visit our member charity page at their website. Dining for Women is a non-profit giving circle dedicated to empowering women and girls living in extreme poverty. Learn more or find an event near you on the Dining for Women website. Johnson & Johnson, the world’s most comprehensive and broadly based manufacturer of health care products and provider of related services, has teamed with Fistula Foundation in the area of fistula prevention and treatment. No company in the world has done more to advance the goal of eradicating fistula than Johnson & Johnson. Over the last decade, Johnson & Johnson has generously donated nearly $1 million to support fistula treatment, prevention and education efforts. They have funded grants to Fistula Foundation as well as surgeries through their support of the Half the Sky game on Facebook, of which Fistula Foundation is a partner. J&J has also donated medical products and funds to Direct Relief for their shipment to the Hamlin Fistula Hospital in Ethiopia. In 2012, Fistula Foundation received $100,000 in general operating support from the Google Fund at Tides Foundation. This generous gift allowed us to move more funding into the field, forever changing more women’s lives. Astellas Pharma EMEA, located in the UK, is the European Headquarters of Tokyo-based Astellas Pharma Inc. Astellas is a pharmaceutical company dedicated to improving the health of people around the world through the provision of innovative and reliable pharmaceuticals. In 2014, Astellas Pharma EMEA committed $2 million to Fistula Foundation to treat obstetric fistula in Kenya. These funds will be deployed through Action on Fistula, a comprehensive initiative that will, over the next three years, work to deliver life-changing surgery to 1,200 women and lay the foundation for continuous and lasting availability of fistula treatment in Kenya. In 2009, Pulitzer Prize winning journalists, Nicholas Kristof and Sheryl WuDunn, launched their best-selling book, Half the Sky: Turning Oppression into Opportunity for Women Worldwide. This masterful and deeply inspiring book was turned into an equally moving four-hour television documentary series that aired on PBS in October 2012. We were delighted that one of our longest term partners, the Edna Adan University Hospital in Somaliland, was one of the main features in this documentary, in which actress Diane Lane and Nicholas Kristof take viewers on an unforgettable journey inside Edna’s Hospital to learn more about the nearly unimaginable challenges mothers and would-be mothers face in countries like Somaliland. Fistula Foundation is honored to be one of the featured maternal health organizations officially recognized as a partner of the Half the Sky Movement. Engel Entertainment produced “A Walk to Beautiful,” a masterful and moving feature-length documentary film about young women who, having been devastated by obstetric fistula, find health and dignity. It received the coveted and prestigious Distinguished Documentary Award from the International Documentary Association (IDA) and screened on PBS’s NOVA in May 2008, in March 2009, and September 2011. It received an Emmy Award in 2009 for Outstanding Informational Programming – Long Form. A one hour version of this important film can be viewed online for free via the PBS NOVA website at this link.